Our Walk Around Costumed Characters can add that special touch to any event by greeting guests, posing for pictures, drawing instant crowds and interacting with kids of all ages. 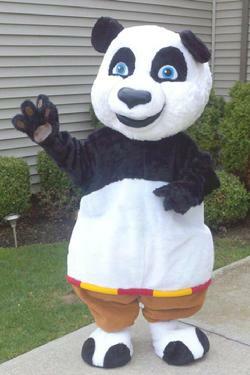 For an unforgettable birthday, or any special event, try one or more of our huggable, lovable costumed characters! 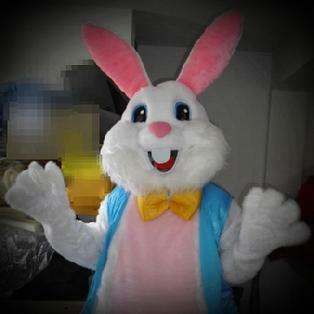 See the thrill on your child's face when one of our characters pays a special visit to your party! For children ages 1-3 we recommend a half hour visit, and of course photo opportunities are encouraged! DISCLAIMER: We wish to express that it is not our intention to violate any copyright laws. The characters that we offer are NOT name brand copyrighted characters, and we make no attempt to market them as such. The characters that we have are of our own creation. Any resemblance to nationally known copyrighted characters is strictly incidental and unintentional. None of these costumes have appeared in any movies, on television, as an animated personality, or in any publication. Our characters may not be advertised in any way, shape, or form as a copyrighted character. Advertisement of ‘costumed character’ with a general reference such as ‘friendly green dinosaur’ may be used. *For the well-being of our Entertainer, characters spend a maximum of 50 minutes per hour in costume with one 10-minute break for each hour booked. Payment: Angel Bug accepts cash, checks, PayPal, and credit card payments through PayPal secure mobile card reader. Retainer: To reserve your date, equipment & entertainer, a non-refundable reservation fee equal to 25% of the amount of the approved invoice, or a minimum of $50 (whichever is greater), shall be due as Client understands and agrees that Angel Bug will not book other events during this time. In the event that Client cancels for any reason, Angel Bug shall suffer losses that are difficult to ascertain. As such, Client agrees that, in the event of cancellation by Client, the retainer shall be forfeited by Client and paid to Angel Bug as liquidated damages and not as a penalty. Client and Angel Bug agree that such amount is reasonable. Cancellations: If your event in cancelled due to weather, we will do everything we can to accommodate rescheduling. If another date is not possible, your deposit will be refunded. Special Requests: If you’d like any of our characters to bring any props (such as a balloon bouquet) or present a gift to a special guest, you may provide such items* in advance at no additional charge, or Angel Bug can provide them for an additional charge. Please accept or decline this option at time of booking. *We reserve the right to refuse any requests we find to be offensive. Travel: In addition to appearance fees, a travel allowance of one dollar per mile will be charged for appearances beyond a 10-mile radius. A grace period not to exceed 30 minutes from scheduled time of appearance will be granted in areas unfamiliar to Angel Bug. Conditions: Hold Harmless Contract/Client Waiver and payment in full must be provided to our Entertainer prior to putting on costume. Entertainers are not permitted to put on or remove character costumes in sight of children; therefore, a private place for entertainer to get into costume and take breaks must be provided. During adverse weather conditions, costumed characters must be provided with dry ground and shelter from rain/snow or appearance will be cancelled with no refund to avoid irreparable damage to the costume. "RAIN DATE" is to be provided in advance for all outdoor events or provide alternate indoor location should rain force your event to move indoors. *Special circumstances may apply for parade participation. 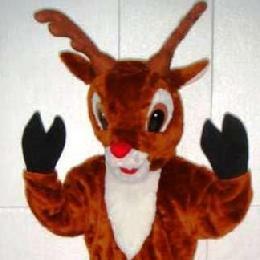 NOTE: "PARTIES IN PARKS" For "SAFETY" reasons, we will no longer book Costumed Characters in "PARKS". Reason: Strangers or Rat Packs have a tendency to use character heads as punching bags oblivious to the fact a "Real Person" is within... At small, neighborhood-friendly parks, our Entertainer must be met at the Entrance & Escorted to your party area - NO EXCEPTIONS!